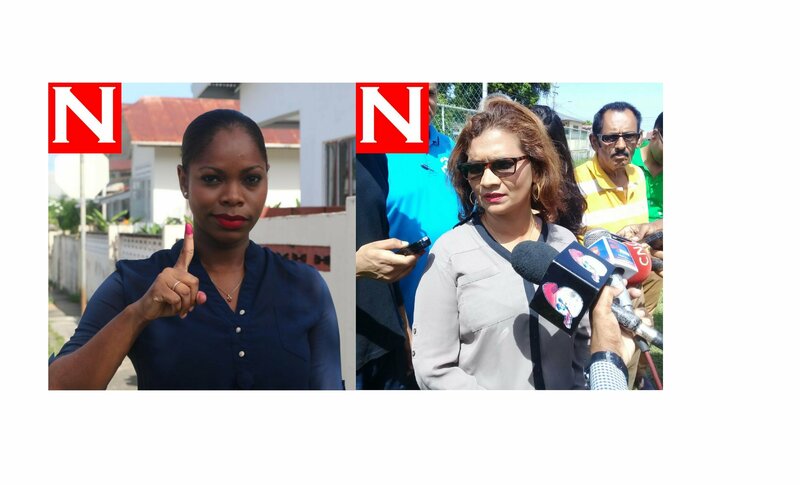 DESPITE having different political fortunes on Monday night, People’s National Movement (PNM) Belmont East candidate Nicole Young and her United National Congress (UNC) rival Liana Babb-Gonzales have one thing in common. Both of them are looking ahead to the future. Young was elected Belmont East councillor with 594 votes. Babb-Gonzales received 151 votes. The Progressive Empowerment Party (PEP) Belmont East candidate Felicia Holder received 51 votes. Young told Newsday she was elated about her victory. She said she was determined to “hit the ground running.” Even before she is officially sworn in as a member of the Port of Spain City Corporation, Young said she has begun conversations with different stakeholders about some of the plans she articulated during the campaign. One of those plans is for the establishment of a homework centre in Belmont East. As an immediate priority, Young said she will be part of clean-up efforts in the community, removing election posters and other election paraphenalia. Young added she has spoken with other members of the corporation and is looking forward to her new role in local government. She was confident of contesting the district in next year’s local government elections. Reply to "PNM, UNC candidates look ahead"